Overlanding, or travelling really long distances on land, seems like the fastest emerging trend in the world of off-roading. 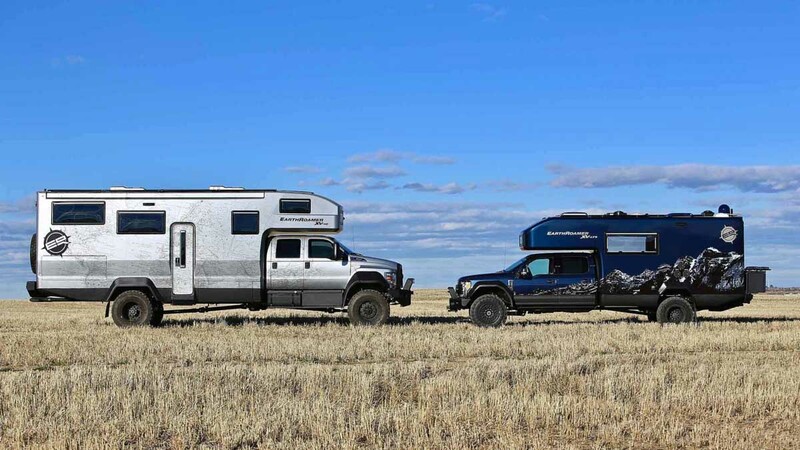 Not surprisingly, even the popularity of purpose-built vehicles for overlanding is on a rise. These vehicles are different from your traditional off-roaders. They not only help the users transport people off the road but also enable them to carry their camping gear with them. 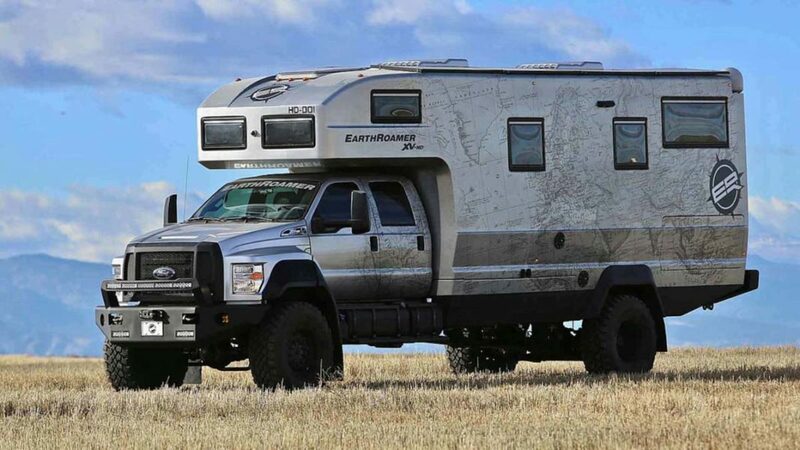 EarthRoamer is a pretty well-known brand in the world of overlanding. Its Ford F-550-based XV-LTS has already enjoyed a fair bit of popularity, and now, the company has decided to go a step ahead and launch the bigger, more luxurious XV-HD that’s based on the Ford F-750. 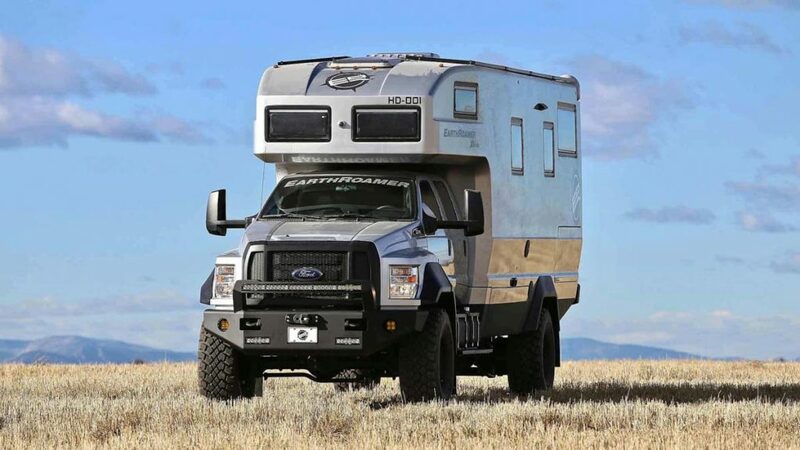 The EarthRoamer XV-HD is built on Ford F-750’s chassis and is powered by a huge 6.7-liter turbocharged V8 diesel engine that outputs 330 bhp of maximum power and an earth-moving 983 Nm of peak torque. The motor comes mated to a six-speed automatic transmission that sends power to all the four wheels through a capable four-wheel-drive system. This helps the XV-HD effortlessly tread in the wilderness. The EarthRoamer XV-HD boasts of some rugged equipment in the form of huge 46-inch Michelin XZL tires and Fox shocks and hydraulic leveling for the rear air suspension. There’s also a 30,000-pound winch that has been positioned in the front of the vehicle. 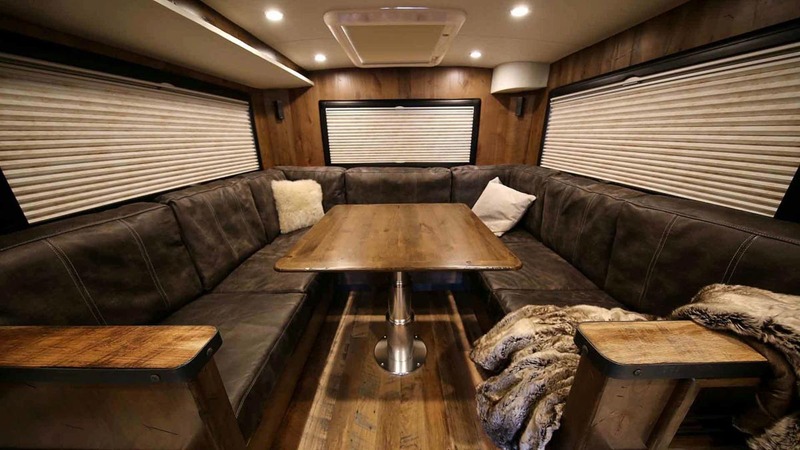 On the inside, there’s enough room for six people to travel in reasonable comfort. 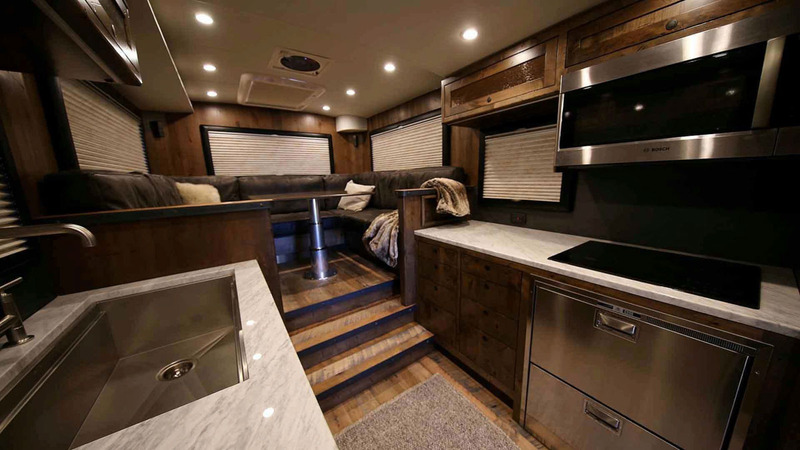 Each EarthRoamer XV-HD is built to order and buyers can customize the interior as per their individual tastes and requirements. 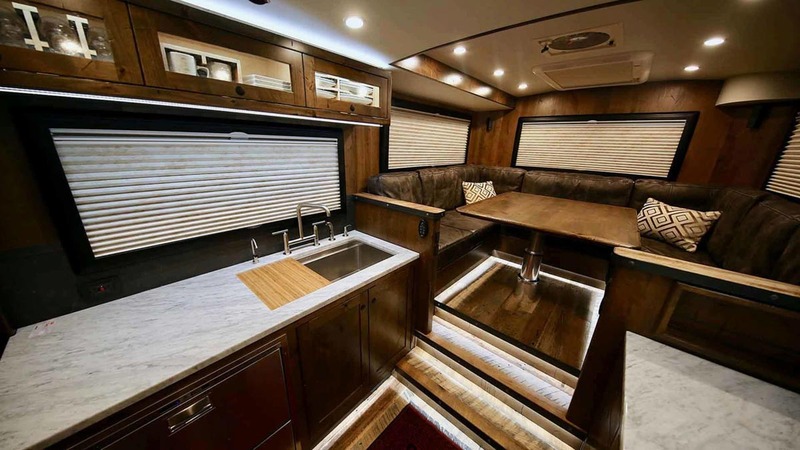 Standard features of the interior include floor heating, washer, dryer, shower and even a full-fledged kitchen. 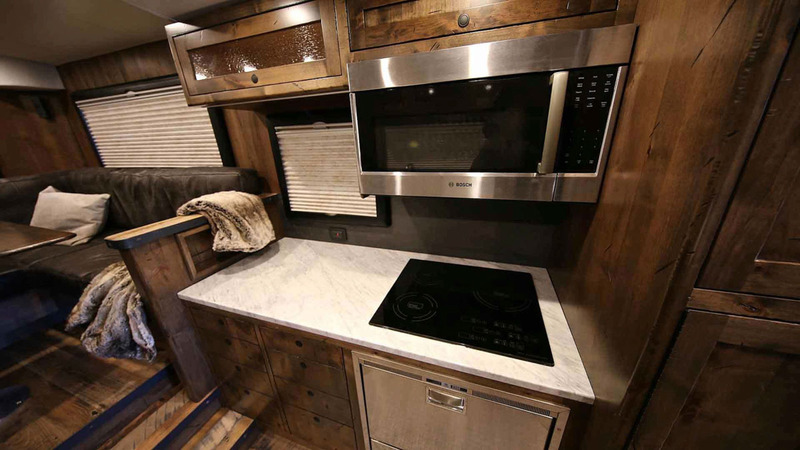 It comes with a Bose Surround Sound entertainment system, wood cabinets, stone countertops, and stainless steel appliances. The XV-HD has a fuel-carrying capacity of whopping 435-litres along with a water-carrying capacity of 946-litres. Also, it comes with 2,100 watts of roof-mounted solar cells that can charge a 20 kWh lithium-ion battery pack. 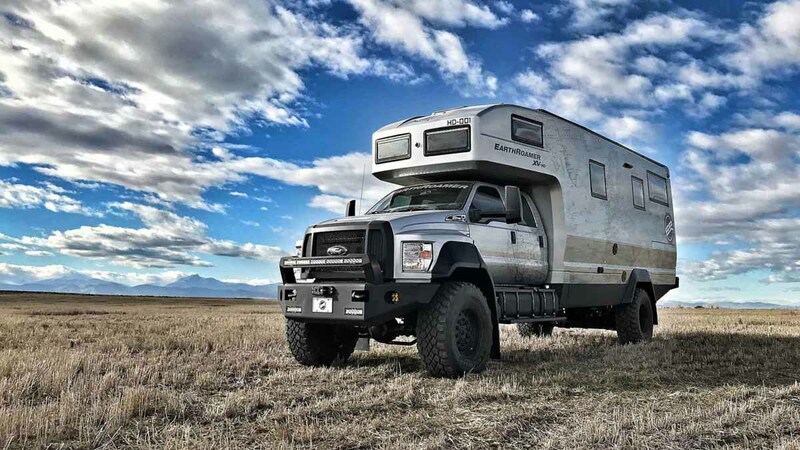 The company has already bagged a handful of orders and is currently working on the first three units of the Ford F-760-based EarthRoamer XV-HD. Lest we forget, get ready to shell out a whopping $ 1.5 million to purchase one of these.